7" Version 4:52 Pop Heroes U.L.M. Wie Mega-Mixe eben so sind. Sie müssen nicht sein. Aber die Lieder an sich bleiben natürlich toll. A good mix, it became a #3 (1991) in the Dutch Charts. find ich echt ne total geile kombination der besten songs!! man kann super dazu tanzen!!! kommt eigentlich fast immer und überall gut an... nicht schlecht gemacht. Ende 1996 ein kleiner Airplayhit in den USA, nostalgischer Mix für ewige Fans der Schmierenkomödie. ▓ Na bijna 13 jaar was het schijnbaar weer nodig om deze oude plaat weer op te poetsen en te mixen !!! Het resultaat uit februari 1991 mag er trouwens best zijn !!! Het was weer een "Hit" in Nederland !!! Alleen stond deze mixuitvoering, 13 weken (# 3) lang in de Nederlandse Top 40 !!! Weer niet slecht !!! Finde Grease nicht toll und die beiden auch nicht. Aber die Nummer ist schon noch rassig gemixt. Knappe 4. Und auch Hit # 7, 13 Jahren nach die erste Hit, von Film "Grease"war in die Top 5 in NL, wie auch die erste 6 ! Hits.......was ein erfolg hatte dieser Film.... Auf Platz # 3 ende Winter 1991 ! Cooler Mix, aber ich hab lieber die Originale in Vollversion! Das Grauen in einem Mix versammelt. Gut gemachter Mix aus 2 Super-Songs. Geweldige muziek uit de gelijknamige film/musical "Grease". Great mix of some of the best songs from the greatest musical ever! I have never liked this and don't expect me to like it anymore in a few years! ok, so i'm a huge fan of grease but it seems kinda odd that greased lightning is played almost the whole way through! if you're gonna play a guy's song almost the whole way through, it should be balanced by a girls song! Well, I can't stand it so the Megamix doesn't do much for me. It's interesting, and the songs do mix well. Not really for me, but it's not bad. Probably the best ever megamix produced and released as a single. Features the 3 iconic songs from the film, mixed very well together so you have the 3 songs seemlessly merging into one. A real showcase of the brilliance that is the Grease soundtrack. Unbelievable that it's 20 years since it's release and is still very awesome! 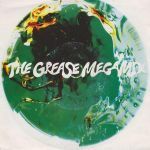 "You're the one that I want", "Greased lightnin'" en "Summer nights": drie topnummer uit de soundtrack van Grease in een vrij overbodige mix gegoten. Toch vier sterren omdat het stuk voor stuk wel toffe nummers blijven. A megamix of complete crap. I enjoy this more than I expect to. Generally not a fan of megamixes and I don't think much of the songs used or the film but I enjoy this. I didn't expect to see this have so many 1 star reviews. Deze megamix introduceerde mij als tiener met de muziek van de soundtrack. Ik vond hem toen erg leuk en dat is hij nog steeds! I don't give two cahoots why it was released 12-13 years after the movie; but it's 25 years old and it still sounds awesome. War ein sehr guter Megamix. Genauso wie Uebi wollt ich´s auch gerade in etwa formulieren! <br><br>War übrigens 12 (!) Wochen eine #1 in Spanien (vom 16.03. bis 01.06.1991 - in Irland immerhin noch eine #4! Goede en terecht overbekende nummers, overbodige mix. A bit of a pointless mega mix. If you like grease you are better off listening to each song individually. But they are quality songs and Grease is so iconic I had to give it 5 stars. Ich mag die Songs schon einzeln nicht. Dann brauche ich erst recht keinen Megamix.